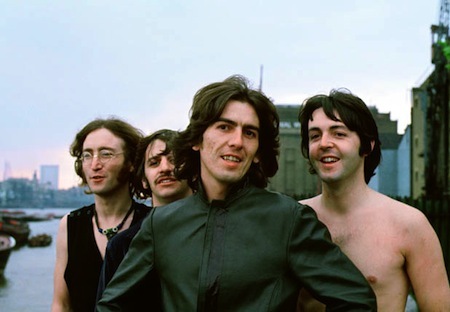 On July, 28, 1968 The Fab Four took a day off from recording The Beatles (“The White Album”) for celebrated war photojournalist Don McCullin to shoot promo photos of them around London. 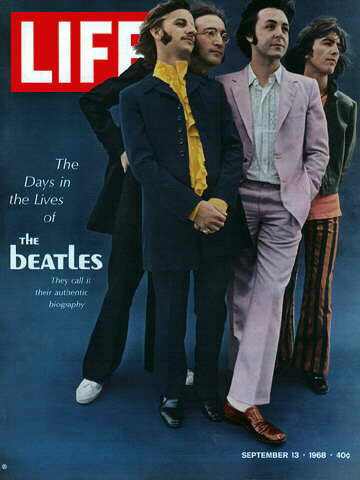 With “one last photoshoot” needed and a Life magazine cover in the pipeline, Don was personally picked by Paul McCartney for the task (and joined by several other photographers that day – most notably Mal Evans and Tom Murray). 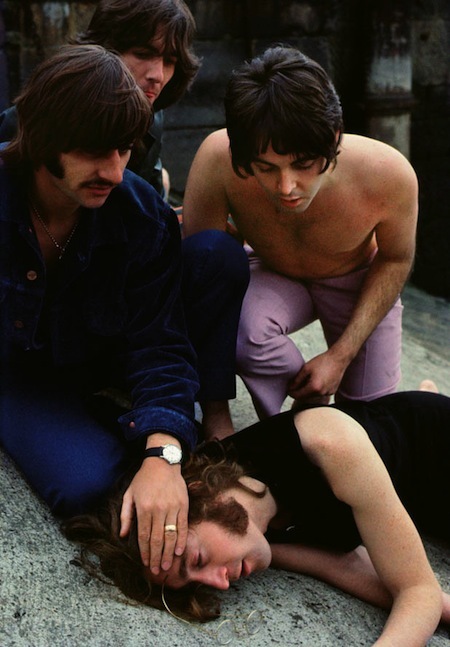 The pictures were first printed in the September 13, 1968 issue of Life and – being re-used in The Beatles’ 1973 “Blue” compilation and countless publications since – have become some of the most famous images of the group towards the end of the career. 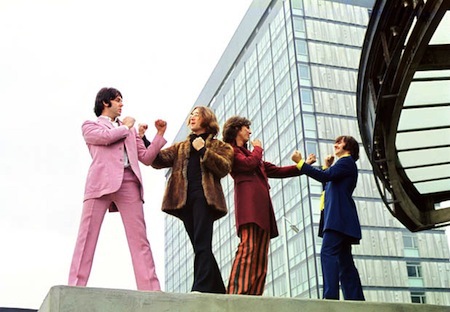 Typically referred to as The Beatles’ “Mad Day Out,” 88 photos from this shoot were collected in McCullin’s 2010 book A Day in the Life of the Beatles. 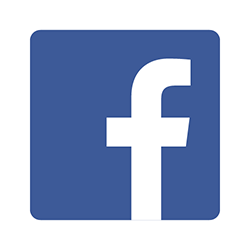 Every photo on this page is from that day. The day started at “Times” newspaper’s Thomson House studio where the Life cover (above, left) was photographed. 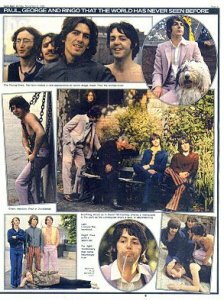 The group then wandered throughout London’s streets, taking detours to parks along the away but continually moving to avoid crowds from inevitably gathering. 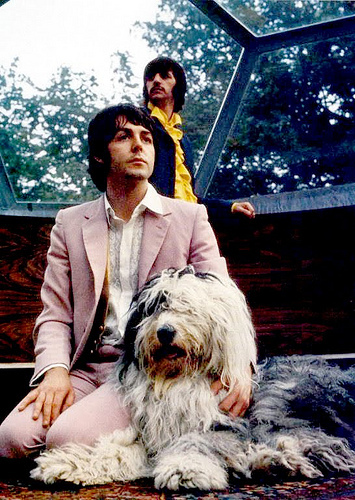 They concluded at Paul McCartney’s St John’s Wood home (7 Cavendish Avenue) with his sheep dog, Martha. 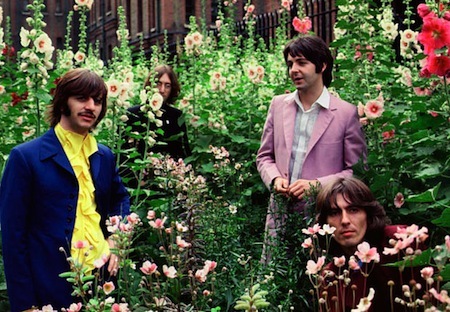 Some of the most famous photos from the day were taken at St. Pancras Old Church and Gardens, where a water fountain, a flowerbed and a man asleep on a park bench were all used like props. 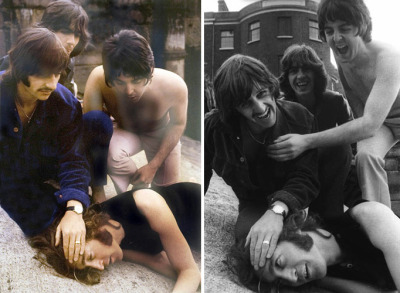 The wittiest shots of the day were The Beatles mock-fighting on a concrete slab in the Old Street roundabout and eery images from Wapping Pier: John spontaneous lied down and the others gathered around him as if he had died. 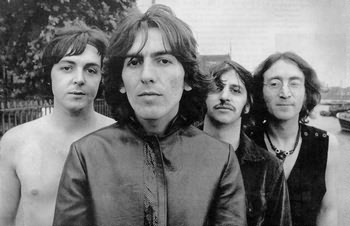 On June 21st take 20 was cut into “Revolution 1” and “Revolution 9” and both received overdubs and final mixes within the next several days. 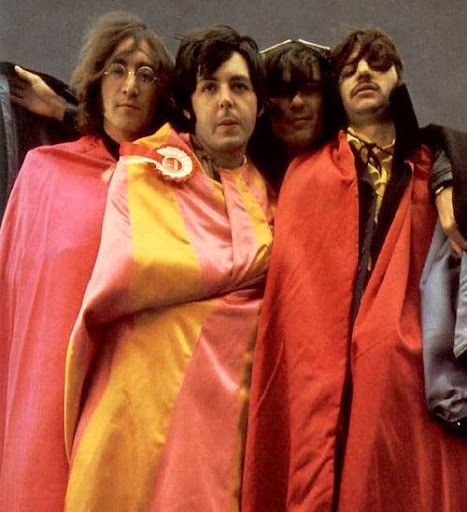 After McCartney and Harrison rejected Lennon’s request to release “Revolution 1” as a single (claiming it was too slow, and perhaps afraid of stirring controversy), The Beatles recorded a louder, faster, and higher-pitched version of “Revolution” on July 9th. 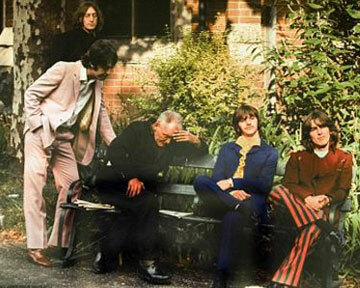 Nicky Hopkins overdubbed a keyboard solo to that version on July 11 and the mono mix was completed on July 15th. 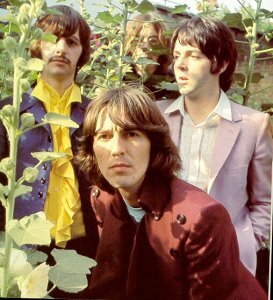 On August 26th it was released as the B-side of “Hey Jude” – The Beatles’ most succesful single to date (some sources refer to it as a “double A-side” 45). 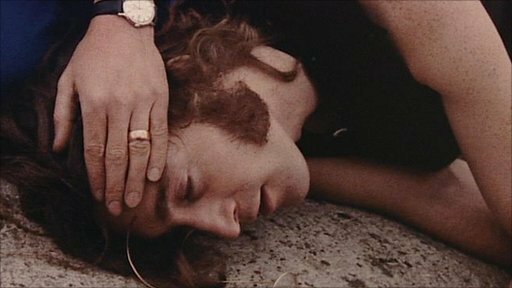 They recorded a performance of both songs on October 4th for the October 13th episode of The David Frost Show. 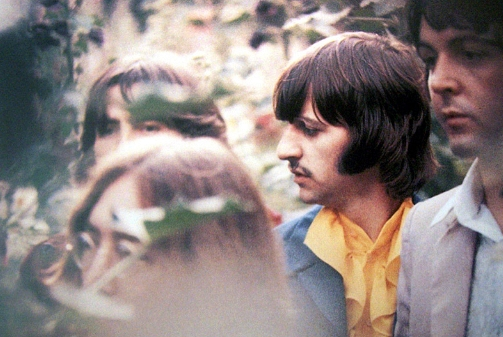 Recording for “The White Album” ended on October 14th and it was in stores on November 22nd – five years to the day of the release of With The Beatles. 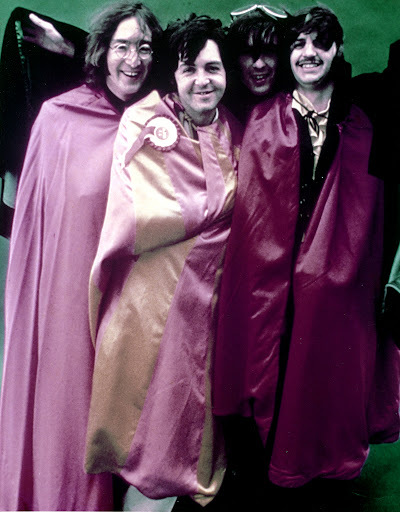 The Beatles’ “Mad Day Out” thus was right in the middle of the evolution of “Revolution” (1, 2 and 9 – as John referred to the three versions). 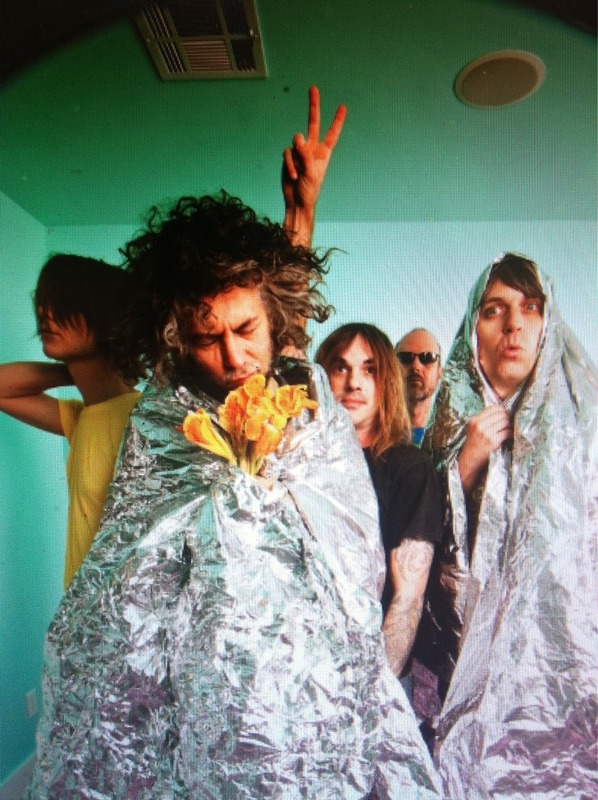 Interestingly, The Flaming Lips recently posed like The Beatles in the Mad Day Out photos at top of this page (and immediately below) during the filming of their “Revolution” cover video – a Steve Jobs tribute for the O Music Awards. 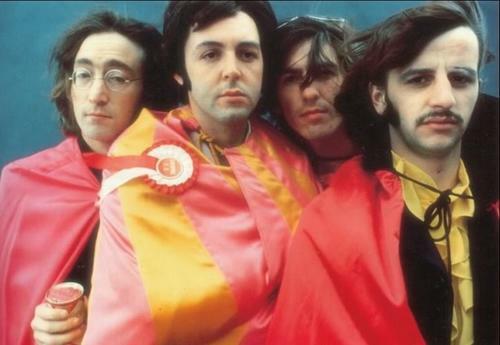 Although it is unclear if this was a deliberate homage by the group, all of the Lips have singled out The Beatles among their favorite albums of all-time and Wayne Coyne has cited “Revolution 9” as one of his favorite Beatles’ tracks in several interviews.